Welcome to the Whitby Crab Company. The Whitby Crab Company ltd. The North's leading crab specialist. 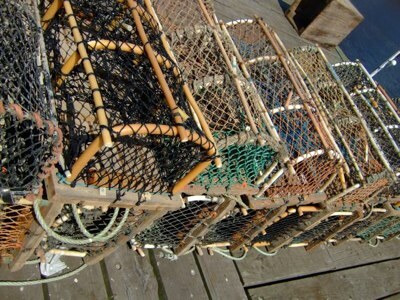 Whitby Crab Company is a specialist wholesale crab business. We buy the finest local crab and hand-dress it to ensure our customers receive only the best quality meat. Based in the historic village of Staithes on the North Yorkshire coast, we produce fresh artisan hand-picked crab products every day for sale throughout the UK. Formerly KMD Shellfish, the business was established more than 25 years ago by Karen Davies and acquired by Whitby Crab Company in August 2009. We provide fresh crab products to a loyal and growing band of established and new customers who appreciate the quality and freshness of our sustainable, locally caught crab. You will find Whitby Crab Companys crab in most of Englands major cities including Manchester, Birmingham, Bristol and London (Billingsgate) as well as many seaside resorts. Whitby Crab even makes the long journey to Devon, its that good! We are proud to supply the Magpie of Whitby. For full details and prices or simply to discuss your requirements please contact Mike Hoggan or Matthew Asquith at Whitby Crab Company on 01947 841137 . Crab pots on Whitby quayside. Hugh Fearnley-Whittingstall called crab meat 'superfood'. We agree, which is why at Whitby Crab Company we hand-pick the meat from the crabs to best preserve its flavour and texture. We think our crabs deserve the title 'artisan superfood'.